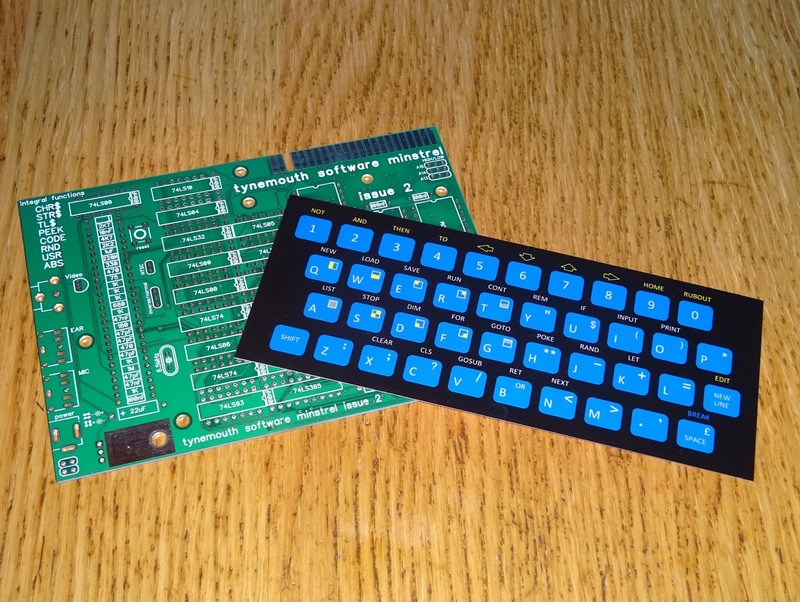 The Minstrel ZX80 clone boards and kits are back in stock in my Tindie store. 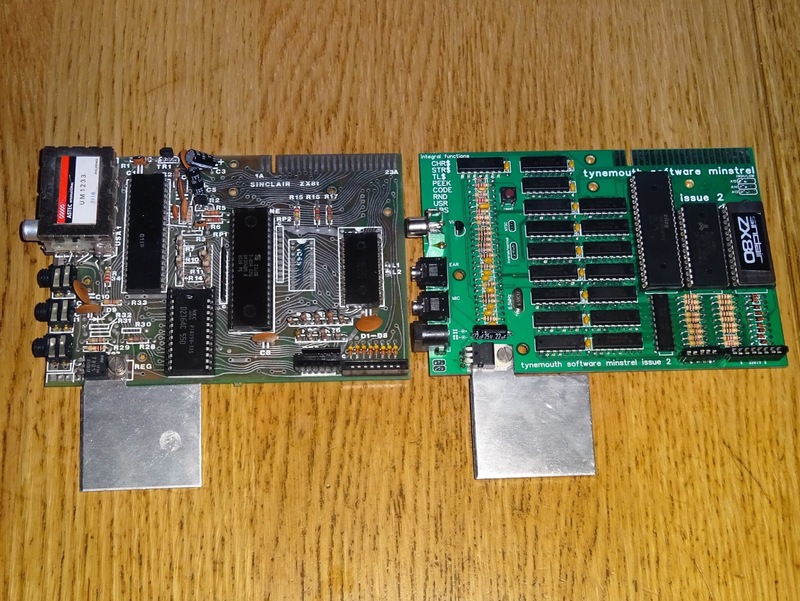 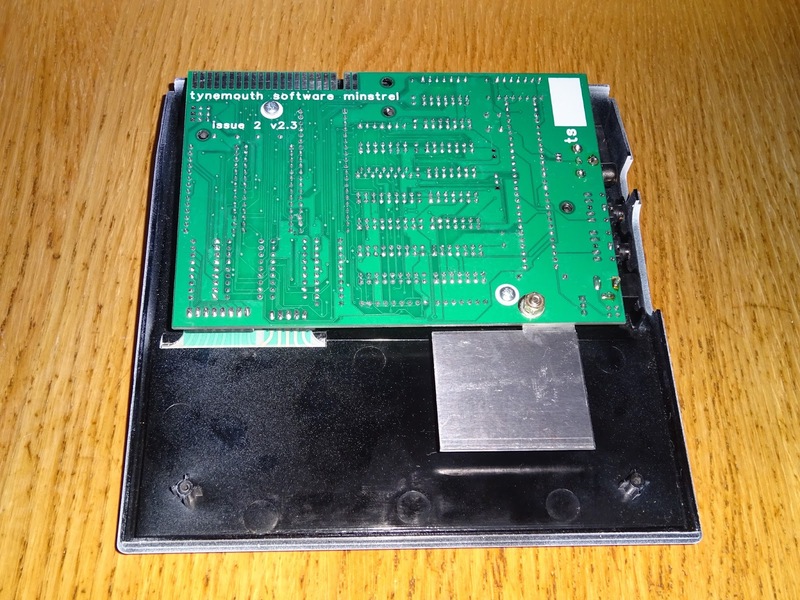 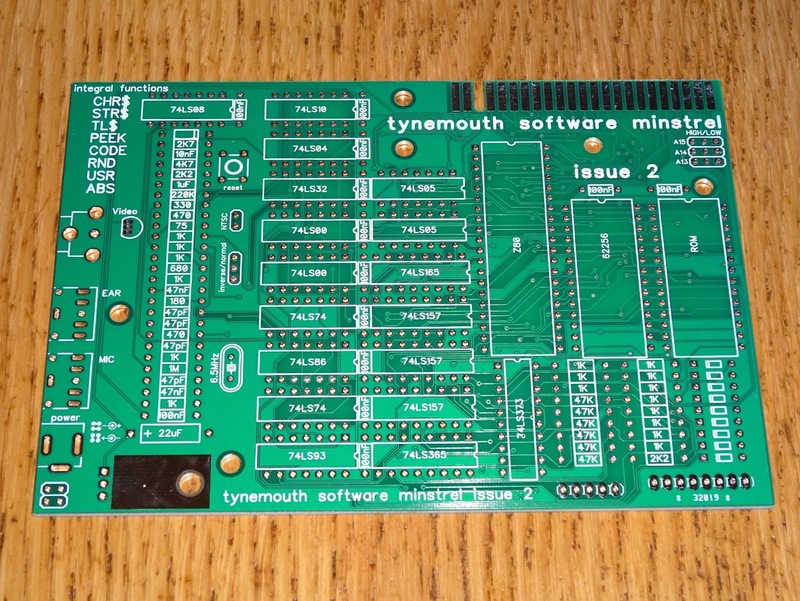 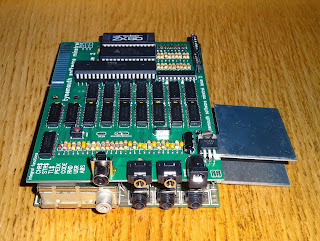 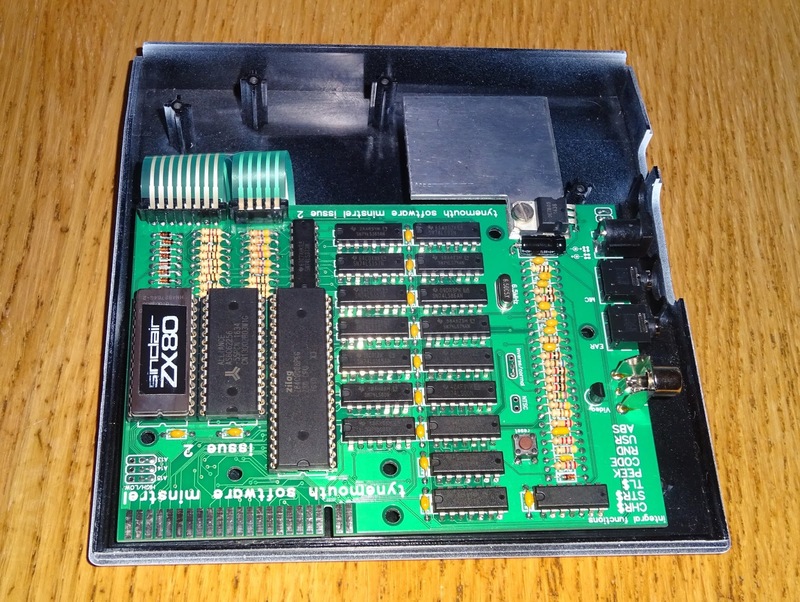 These are now issue 2.3 boards which have some minor tweaks to the connector and hole alignments when used in a ZX81 case. 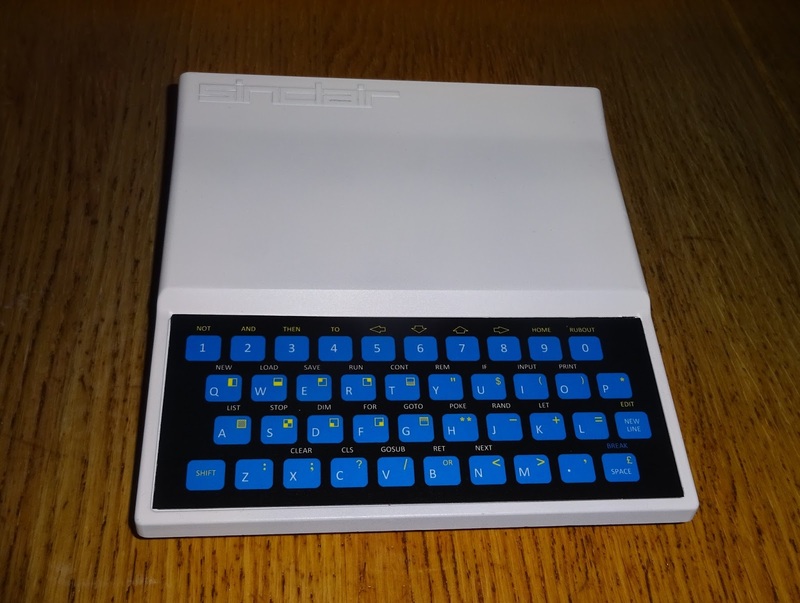 The Minstrel is a fully compatible ZX80 clone that can run the original 4K ROM BASIC, or the later ZX81 style 8K ROM BASIC. 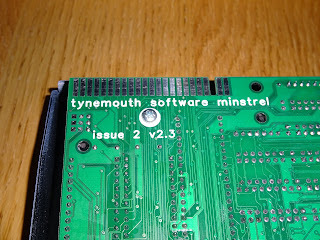 It is not fully compatible with the ZX81 due to the lack of NMI slow mode, although this is something I am working on for a future version. 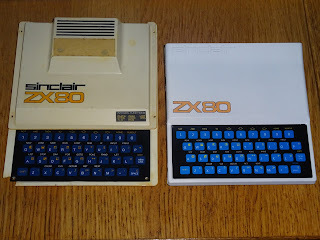 These follow the original ZX80 schematic and use the same parts where possible. 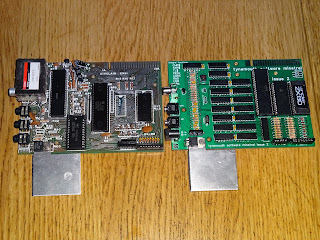 The only changes being the RAM is upgraded to 16K using a modern RAM chip, the ROM is a 27C64-27C512 EPROM and there is a composite video output with an additional circuit to add the missing backporch pulse to the composite video signal and clean it up for use on a modern TV or monitor. 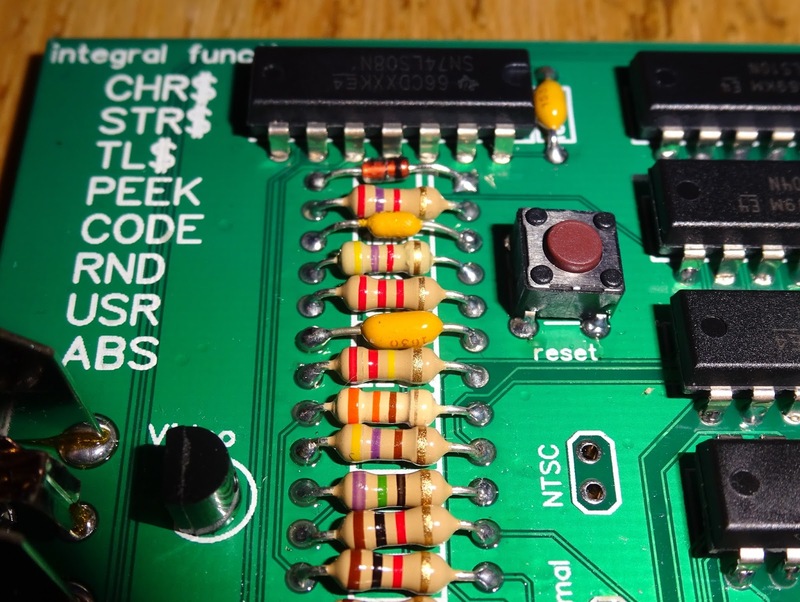 I've made a minor change to the values of the resistors which combine the video signals. 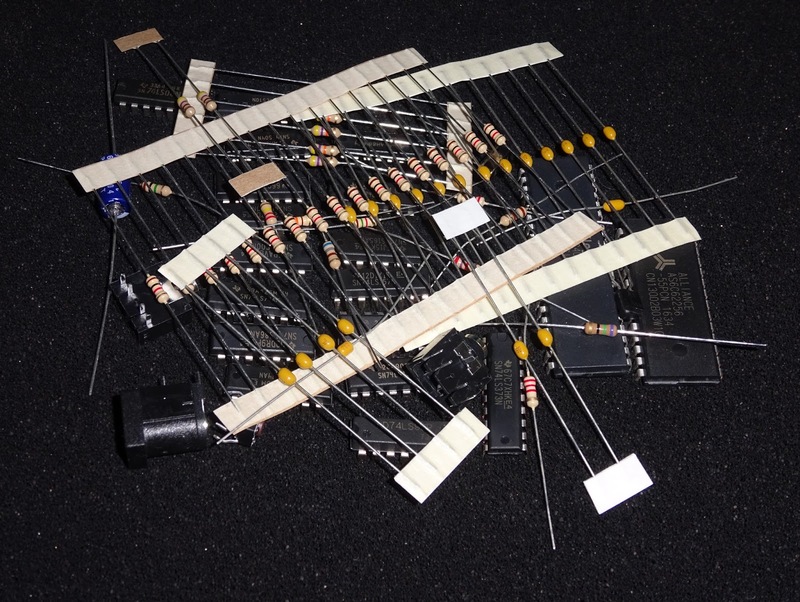 The values of the second and third resistors from the top have changed from 2K2 and 1K5 to 4K7 and 2K2. 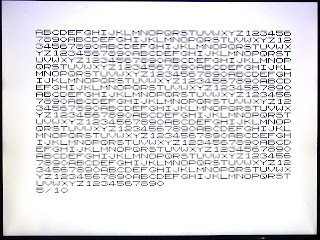 The new values are marked on the silkscreen. 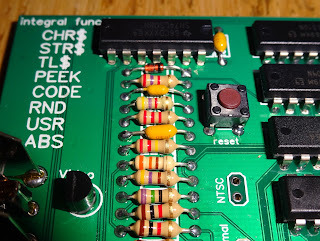 There is also a minor error where two pins are floating that should be pulled high. 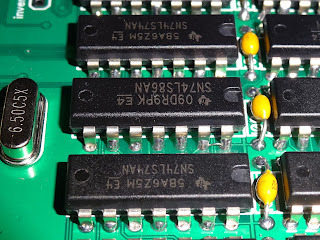 They work correctly as is due to internal pullups in the chip, but there should be a connection between pin 13 and pin 14 of the 74LS86. This can be done with a solder blob on the back of the board, or a small wire inserted between the pins before soldering. 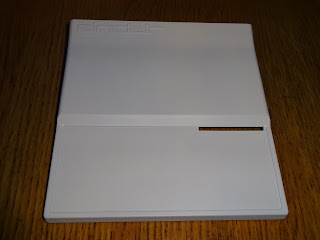 This is designed to be used in a whatever enclosure you like (see my previous post with some other examples of ZX80 Clone builds), or can be fitted into a ZX81 case. 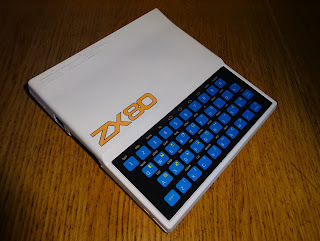 Here I have a pretty beat up ZX81 case which had some marks on the lid and needed a new membrane. 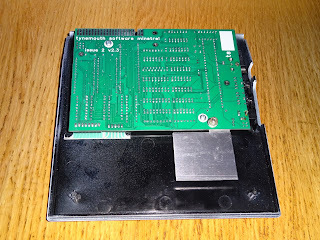 I removed the old membrane and sanded that down the lid to remove the marks, and also sanded off the embossed ZX81 letters. 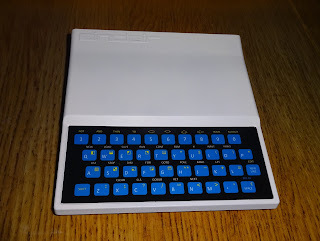 The next step was to spray the case white, ZX80 style. 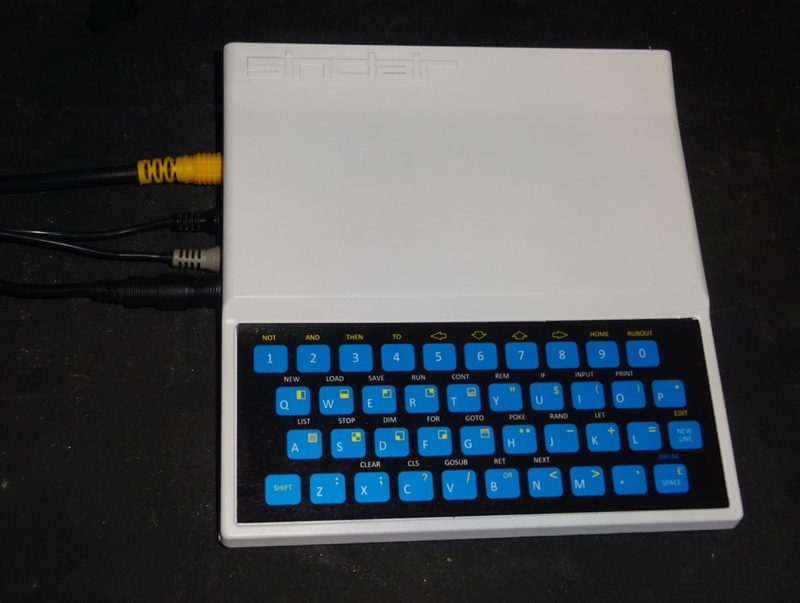 This came out remarkably well, with all the detail in the Sinclair logo coming through clearly, and no sign of the original marks or the ZX81 lettering. 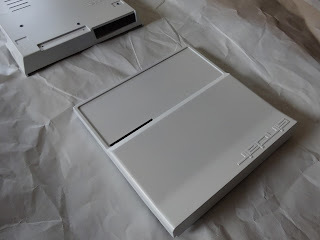 The case was ready for a new membrane. 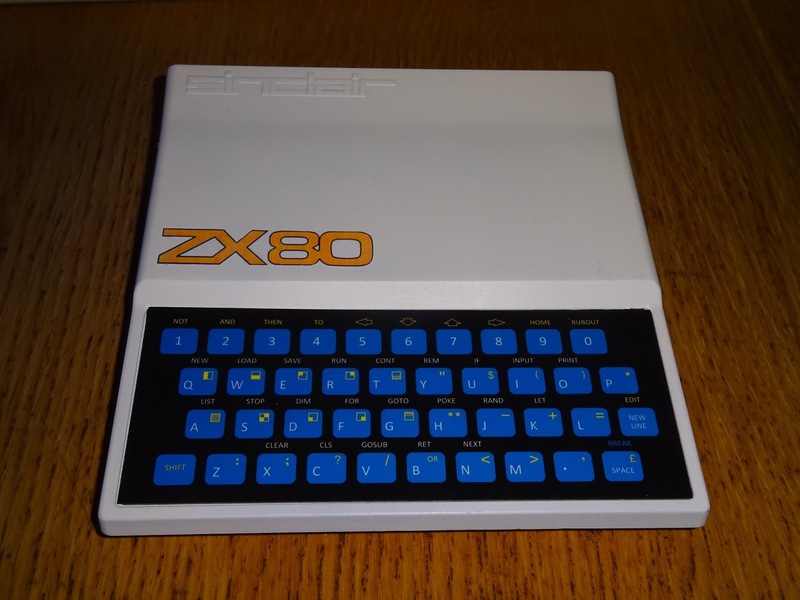 I am going to use the 4K BASIC on this build, so it needs the blue ZX80 style keyboard, which has different keyword and symbols to the grey ZX81 style. 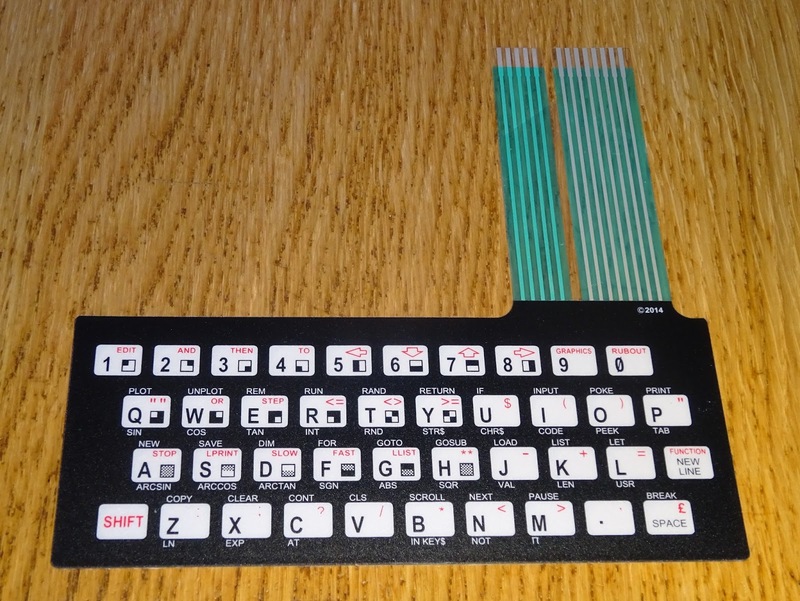 Membranes are currently only available for the ZX81, so I have started with one of those. 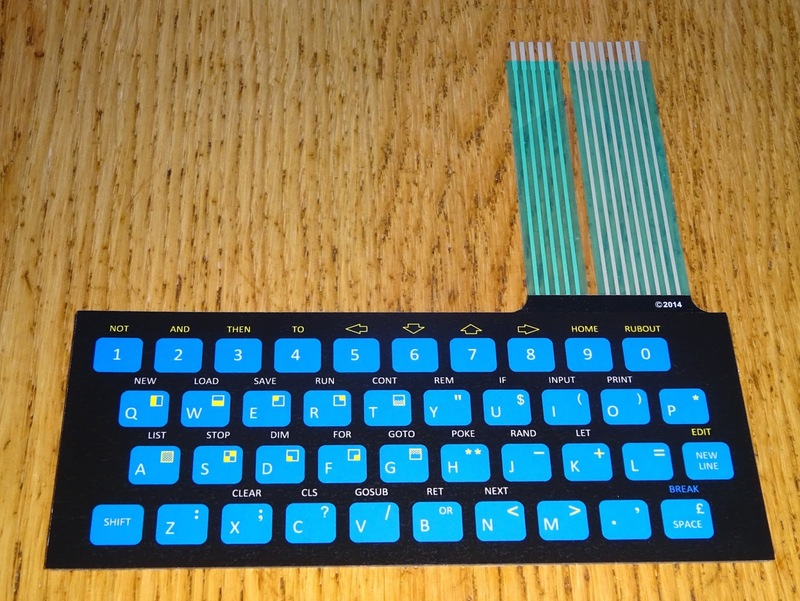 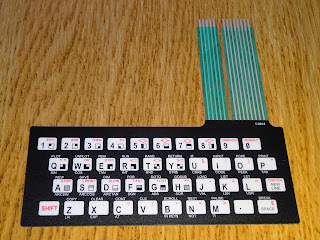 I have had some overlays printed to match the ZX80 layout which can be stuck over one of these ZX81 membranes to give a ZX80 style keyboard. 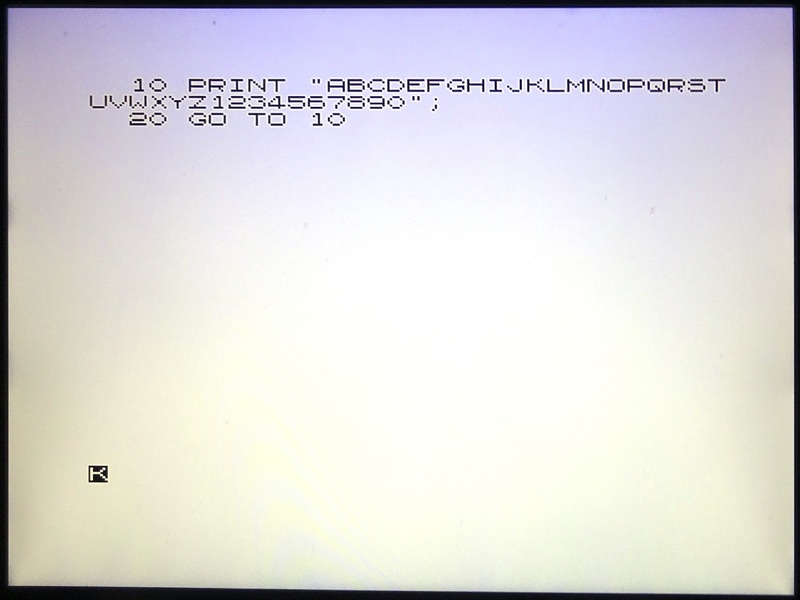 That is installed as normal, and you get something which is starting to look like a ZX80. 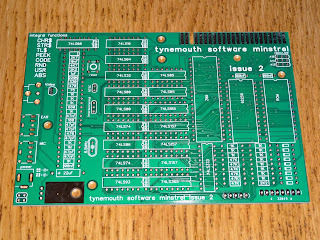 Inside the membrane tails are ready to connect to the board. 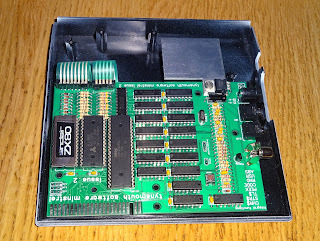 I usually flip it over to make the it easier to connect up. 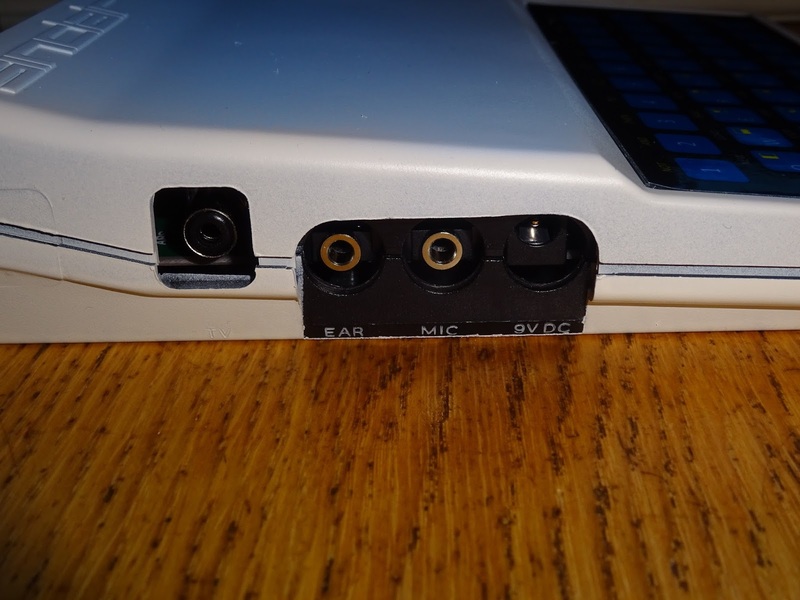 The board is flipped back and the holes lined up. 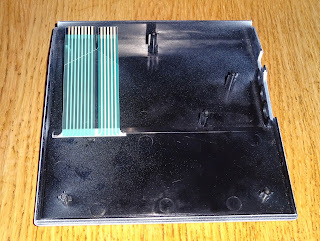 The two holes with white circles around should be screwed in now, the others pass through the back of the case. I masked off the EAR/MIC/9V DC labels before painting, to leave the recessed connector section black. The case can now be assembled and the keyboard tested. 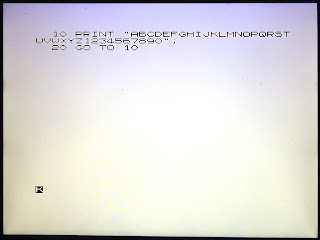 Yes, all the keys are working, and all the keywords are in the right place. 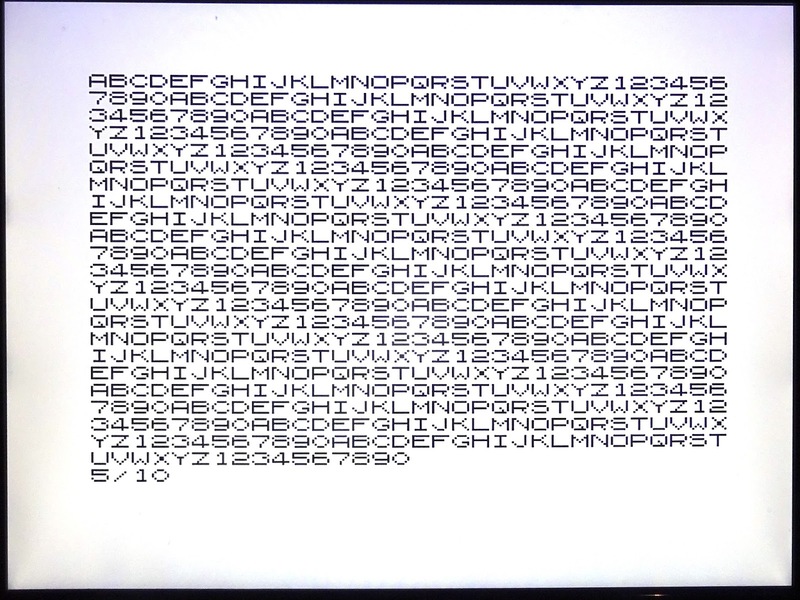 The picture is nice and clear on a modern LCD TV. 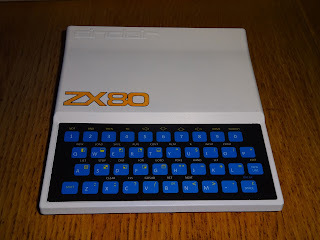 The final touch was a ZX80 logo for the case. That's turned out better than I had expected, a very nice looking ZX80 clone. 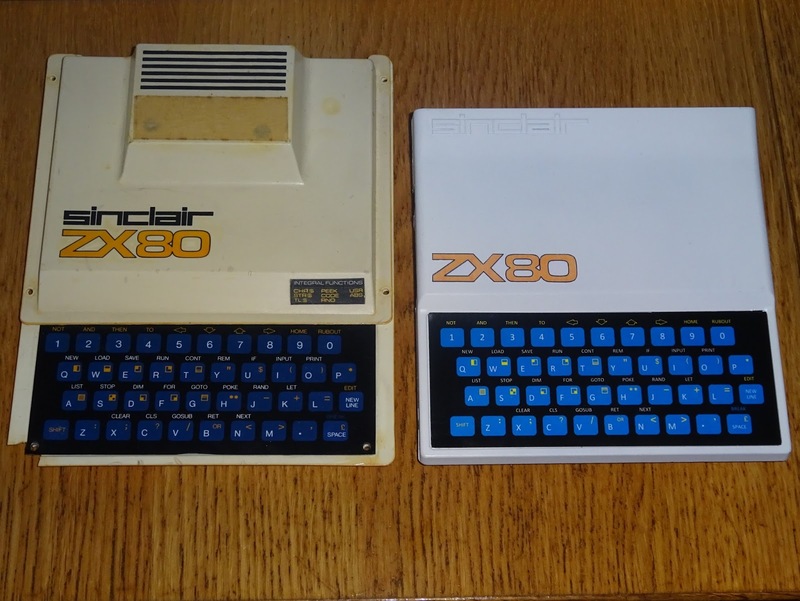 It stands up well against an original ZX80. These are available as bare PCB, as a kit form and as a build up board from my Tindie store and The Future Was 8bit. 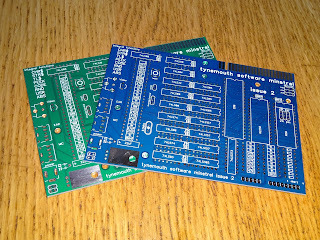 There are a various kit options, but too many options to list them all, if you want something different, contact me and I'll see what I can do. Do you need sockets, connectors, 7805 or switch mode, which keyboard etc. 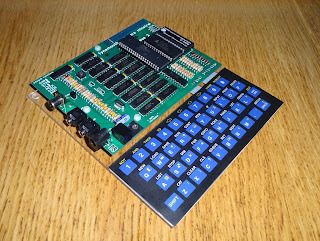 I will also be building a few for sale as complete boards or complete units - again, let me know what you want. 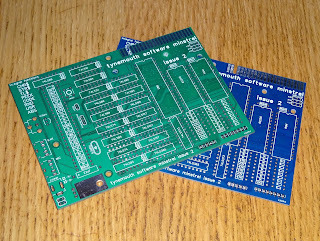 I am now shipping V2.4 PCBs, which are also available in blue silkscreen. 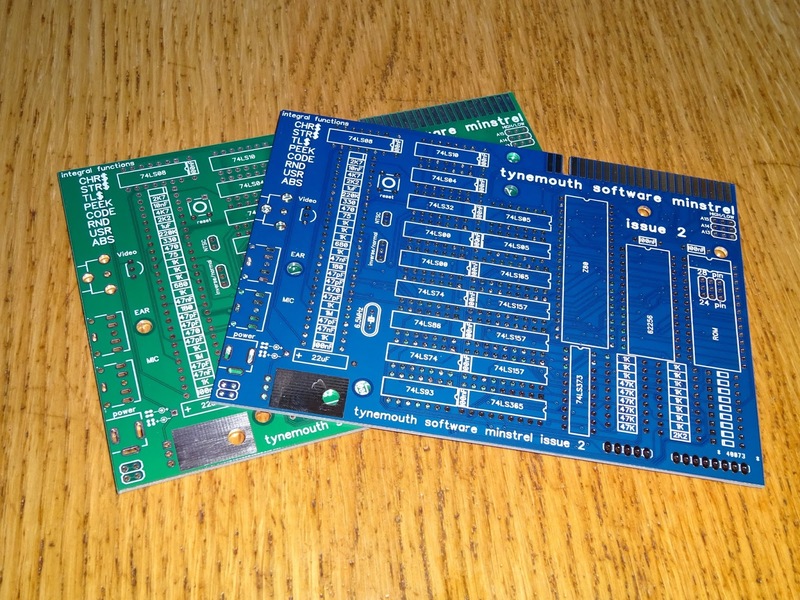 I am now shipping V2.5 PCBs, also in green or blue. 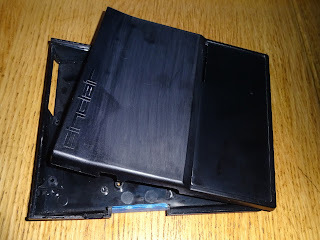 It seems I haven't got any more creative with my photos since the last one was taken.